For ideas to become accepted in the scientific community, they must follow a peer review process and be published to separate the good science from the bad science. Scientists have the responsibility of thinking critically to avoid not-so-good science leaking into publications. But sometimes, writers and/or reviewers have a duty to more than one organization or person and are unable to do justice to the interests of both parties. This is when facts and science clash with opinions and politics. Conflicts of interest interfere with good and credible science and can ultimately have a negative impact in public health if it affects products that are a controversial topic and could reduce harm or improve the quality of life, such as Electronic Nicotine Delivery Systems (ENDS). But this issue does not go unnoticed. PubMed is a search engine that provides free access to MEDLINE, a database containing scientific publications from around the world. They were asked last March to add conflict of interest information to abstracts published in the National Library of Medicine (NLM), so those users that do not access to the full article are aware of the competing interests1-2. This exercise could significantly increase transparency in health sciences. 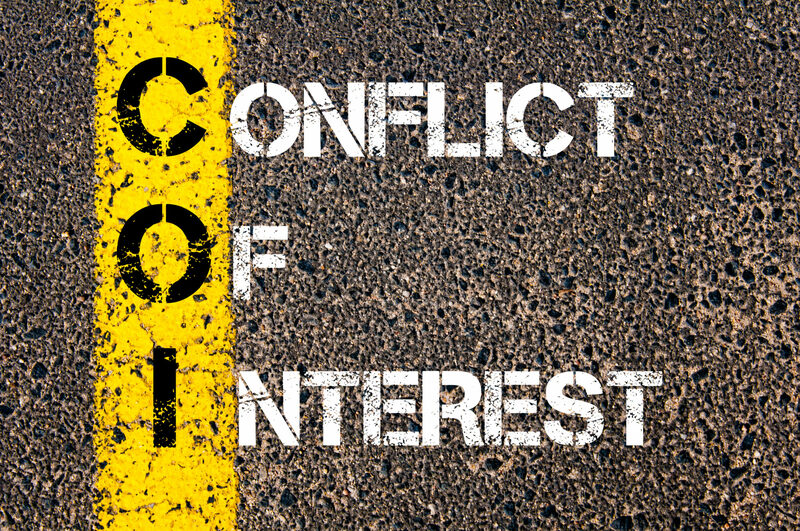 Are conflicts of interest a real problem? There is a lot of misinformation available that may confuse not only ENDS consumers, but also policy makers and regulators. Moreover, different scientific papers are released showing different results for the same endpoint. This could be because of the methodology, that is intentionally flawed to obtain specific results or the conclusions that are presented in such a way that favour one political position. To give you an example I will try to answer the following question: are vape products a gateway to smoking? A study published recently in the journal Pediatrics supports the hypothesis of vape products being a gateway to smoking among youth3. But this study considers a ‘vaper’ or a ‘smoker’ anyone who has ever taken even one puff of such products. Either way, the findings from this study do not provide any real evidence to support the gateway hypothesis. However, there is population based data from Centers for Disease Control and Prevention (CDC) that provides evidence on the gateway hypothesis among youth, suggesting that vape products are a ‘roadblock’ to smoking4. The statistic presented show a 41% drop in youth smoking from 2011 to 2015 that occurred at the same time as a 24-fold increase in youth vape product use. From a scientific perspective, the second set of data is more accurate, and answers the gateway hypothesis with more reliable results. These results imply that ENDS are directly related to a decrease in youth smoking. There are many other examples surrounding the science of ENDS that could negatively affect any future legislative reform of products that can have a positive impact on public health. Julie Girling and Vicky Ford two British Conservative members of the European Parliament have sent a letter to Carlos Moedas, the European Union’s research, science and innovation commissioner. They have asked the EU to reassess the science relating to vape products that supports its Tobacco Products Directive (TPD). Should the European Commission revise the good science available, being aware of any existing conflicts of interest and find a favourable opinion, the TPD could be amended following recommendations from the Scientific Advice Mechanism. Barrington-Trimis JL, et al. (2016) E-cigarettes and future cigarette use. Pediatrics 138(1): e20160379. Previous PostWhat's in an E-Liquid?